In 1959, Chinese occupation of Tibet forced Tibet’s god king H. H. the Dalai Lama to flee to India, and along with him, thousands of Tibetans followed, and Indian government has given them land to cultivate in several of states, and Mysore, Coorg in Karnataka, the Tibetan settlement is one of the oldest and biggest Tibetan refugee camps in India. Since cultivation only is not enough for survival, initially they started working as coolies in building road from Manali to Ladakh, and they had too much trouble; feeling of home sickness, homelessness, and many Tibetans died because of the new Indian climate. After years, Tibetans started doing sweater business for better living since the limited land cultivation is not enough and working on the roads as road labors is too tough. Many of them used to do the sweater business in a nomad style way across the country. They transport the sweaters from Ludhiana, Punjab in loan system from the Lalas (Indian whole sale sweater business men), and then travel across India like nomads to sell the sweaters. 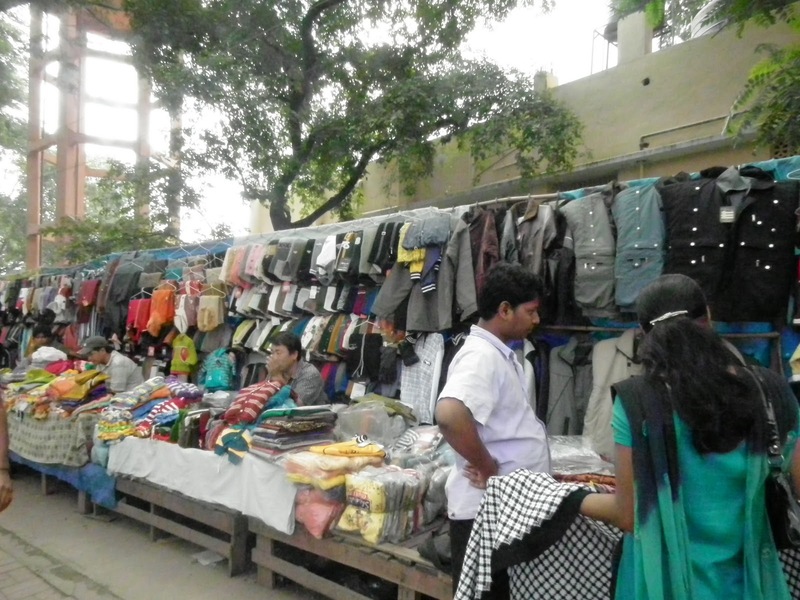 On the pave yard, at Majestic bus station, Bangalore, there are 26 Tibetan families selling sweaters. Unlike the other nomad way Tibetan sweater sellers across the country, these Tibetans at Majestic are lucky enough to get a permanent place to sell sweaters. “Initially, we were with the Tibetans in Coorg cultivating land, but since cultivating land is too tough without any substitute help from the government, we slowly gave up the land, and moved to Bangalore to do sweater business.” Said Tenzin Paljor, the head of the Tibetan Sweater Seller Union, Bangalore. On the other side of the Majestic bus station, there are five Tibetan sweater sellers selling sweaters on the open road, and they are full of woes and tragedies to share. They are selling sweaters by paying tax to the police daily wise and they are like nomads, they move from state to state according to the climate and situation. They too are taking sweaters in loan from the Lalas in Ludhiana, Punjab, and selling across the country. “No matter how hard our business might be, it is for our living, and our business is based on trust. We buy whole sale sweaters from the Indians in Ludhiana in loan and pay back after selling all the sweaters.” Said Tashi Lhamo, a Tibetan sweater seller on the road. Tashi, and her co-sweater sellers are very hopeful and they said that Tibet will be free sooner or later and for them, a free Tibet seems the only solution to reunion with their relatives inside Tibet. Tashi was born in India, and has never seen Tibet, but she lives on hope and dreams of returning to Tibet one day. She also donates her money from the sweater business to the Tibetan government in exile and very often she participates in activities for Tibet. Most of these sweater seller Tibetans have extra ordinary stories to tell. Stories of crossing the Himalayas and fighting for a free Tibet. Paljor, the head of the Tibetan Sweater Seller Union in Bangalore was a class ten school dropout and an ex Indian soldier who also fought in the Bangladesh war.